Interreg Central Baltic Programme Project Coast4us (Coast for us) implementation period: 1 January 2018 – 31 December 2020. To achieve the goals of the project, a consortium of municipalities, universities, public administrations from Sweden, Finland, Latvia and Estonia has been set up – a total of 18 partner organisations and 9 associate partners. This 3-year project will be implemented by the Institute of Civil Engineering and Real Estate Economics. Participants of the project are the staff members of the Institute of Civil Engineering and Real Estate Economics of RTU: Project Manager – Leading Researcher Dr. Sanda Geipele; Researchers Edgars Pudzis and Linda Kauškele, Visiting Researcher Dr. Māris Kaļinka and Research Assistant Iveta Stāmure. Coast4us project aims at developing an innovative, comprehensive and local needs-based planning approach to the development of marine and coastal areas in Finland, Latvia, Sweden and Estonia. The priority of the Interreg Central Baltic Programme 2014–2020 is “sustainable use of common resources”; the specific objective of the priority is “sustainably planned and managed marine and coastal areas”. The main activities in Latvia are planned in pilot areas of the municipalities of Carnikava, Saulkrasti and Salacgrīva, where planned solutions will be implemented, identification and mapping of existing and potential values ​​will be carried out. As the coastal areas of the project are of a significant natural, cultural, economic and social value, there is a necessity for a diverse range of stakeholders with specific interests and needs, innovative methods for sustainable development planning in accordance with the modern age of growth, as well as work with local communities in specific pilot areas. Within the framework of the project, through practical and educational activities, it is envisaged to develop quality dialogue and cooperation between the parties involved in the planning process, devoting particular attention to the local community level, promoting the local needs-based development planning approach. The Coast4us project will be carried out at the local level, promoting not only economic development but also social innovation. 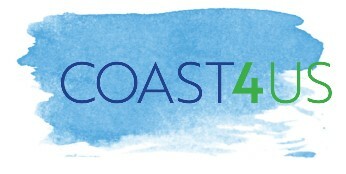 During the Coast4us project, a completely new level of development planning – the village and community – will be introduced, since identifying the situation, planning and implementing pilot projects, including the participation of national and regional administrations as partners, will ensure further implementation and sustainability. The main benefit is shared experience of coastal local planning using new methods. As all levels – villagers, municipalities, the Ministry of Environmental Protection and Regional Development and the University – are involved, the results of pilot activities will be summarised and already included in the proposals for local/village planning in Latvia. Science partnership makes up a particularly strong partnership, as the three major universities of the Coast4us project will bring together worldwide best practices for the implementation of the planning level, while ensuring scientific debate and knowledge dissemination at the EU and wider level. Mapping and preparation for the planning process, including the Institute of Civil Engineering and Real Estate Economics of RTU is responsible for the sub-activity in Latvia: development of planning tools (GIS, IT tool planning, smart city planning, etc.). Evaluation and dissemination. The Institute of Civil Engineering and Real Estate Economics of RTU is the responsible partner in the project for the introduction and implementation of this activity. An international scientific conference will be organised within the framework of the activity, as well as scientific articles will be prepared for international scientific journals on territorial development issues. The priority of the Interreg Central Baltic Programme 2014–2020 is “sustainable use of common resources”; the specific objective of the priority is “sustainably planned and managed marine and coastal areas”. Project Manager at RTU: Leading Researcher of the Institute of Civil Engineering and Real Estate Economics Dr. Sanda Geipele, e-mail: sanda.geipele@rtu.lv. INTERREG CB Programme Project Coast4us (Coast for us) implementation period: 1 January 2018 – 31 December 2020.